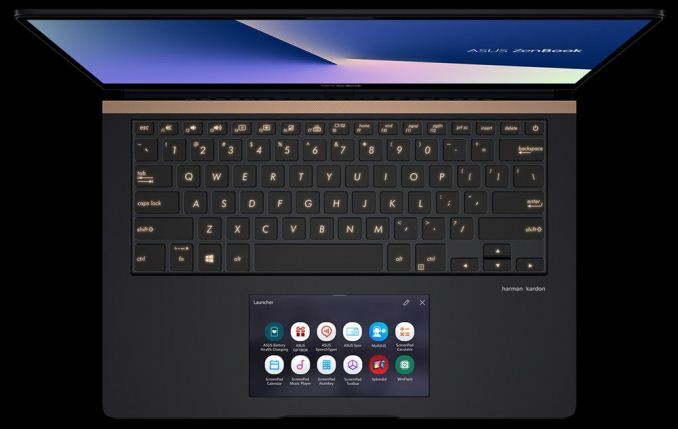 There was a lot of showcases during the IFA 2018 and part of this was the Asus showcase of it’s Zenbook Pro UX480, a powerful 14-Inch Laptop with Screenpad instead of the popular touchpad we already know. The Notebook that had earlier been demonstrated during the Computex in June had most of it’s specifications shielded from the public. As it appears, the computer is powered by the Intel’s latest Whiskey Lake-U processor and the NVIDIA’s GeForce GTX dGPU and the sales of the Zenbook Pro is expected to start later next month, October. The Asus Zenbook Pro bridges the High performances, Style and Portability which is in demand from the company’s customers. 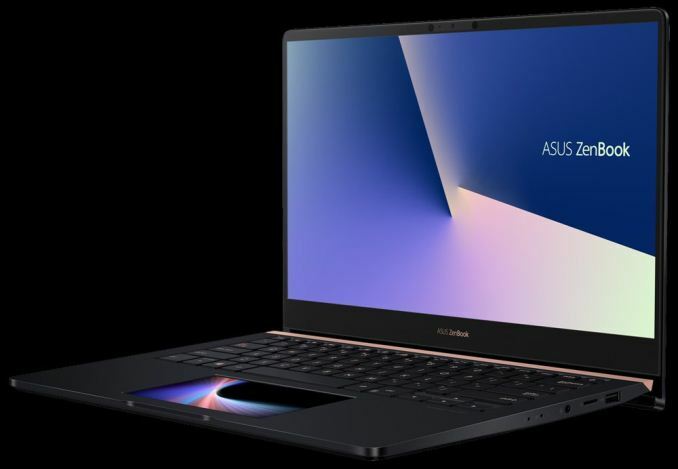 ASUS had earlier introduced 15.6-inch versions of its ZenBook Pro laptops, but with the ZenBook Pro 14 UX480 it is adding 14-inch models into the family. Since the system is smaller, ASUS has to use components with a lower TDP, and possibly reduce the count of components in general. This however does not mean that the new system has to make compromises in terms of performance or key features. The ZenBook Pro 14 comes with Intel’s quad-core Core i5/i7 (Whiskey Lake-U) processor, NVIDIA’s discrete GeForce GTX 1050 GPU with Max-Q software, as well as ASUS’ 5.5-inch ScreenPad that can simplify usage of certain programs or even act like a second screen for applications that support it. As for DRAM and storage, the ZenBook Pro 14 will ship with either 8 or 16 GB DDR4-2400, as well as an SSD featuring 128GB to 1TB of capacity with a SATA or a PCIe interface. Interestingly, only the 1TB SSD variant inside the UX480 will use a PCIe 3.0 x4 interface, whereas the more popular 256 GB and 512 GB capacities will come with a PCIe 3.0 x2 or a SATA interface, which will therefore offer considerably lower performance. Furthermore, inexpensive versions of the ZenBook Pro 14 will be equipped with a hard drive and an Intel Optane Memory caching SSD. The I/O capabilities of the ZenBook Pro 14 resemble those of higher-end ZenBook Pro 15 models, though the smaller PC lacks Thunderbolt 3. On the wireless connectivity side of things, we see Intel’s Wireless-AC 9560 CNVi solution featuring 802.11ac Wi-Fi (with up to 1.73 Gbps throughput over 160 MHz) and Bluetooth 5.0. 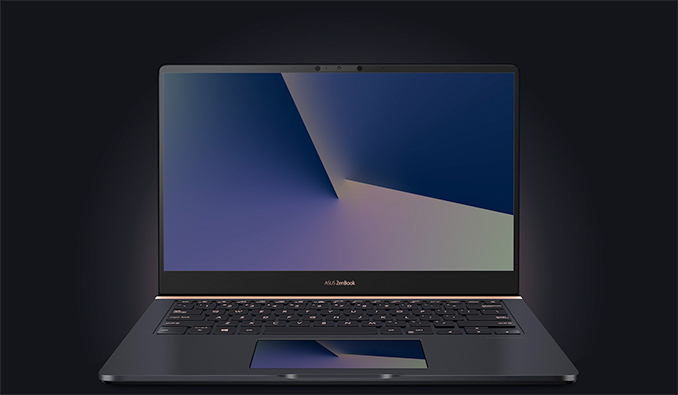 As for physical ports, the notebook is equipped with two USB 3.0 connectors (Type-A and Type-C), one USB 2.0 port, a HDMI display output, a microSD card reader, a TRRS audio jack, and a proprietary jack for charging. As for conferencing, the laptop has a VGA webcam with IR sensors for Windows Hello, Harman Kardon-badged stereo speakers with a ‘smart’ amplifier, and a microphone array. When it comes to battery, the ZenBook Pro 14 is outfitted with a 70 Wh battery that enables 12.5 hours of autonomous operation and can fast charge from empty to 60% in 49 minutes. Traditionally for ZenBooks, the ZenBook Pro 14 comes in an aluminum chassis with Deep Dive Blue finish with Rose Gold inlays. ASUS says that the chassis meets the MIL-STD 810G standard for reliability/durability, and can survive drops, vibrations, high/low temperatures, and so on. The laptop features a 17.9-mm z-height and weighs 1.6 kilograms, which is not particularly thin or very light for a 14-inch laptop. In the meantime, since we are dealing with a notebook that has a discrete GPU, is able to accommodate a hard drive, is equipped with a ScreenPad (which adds the weight of the extra display module and its protective glass), and features a high-capacity battery, the weight and thickness are not particularly surprising. 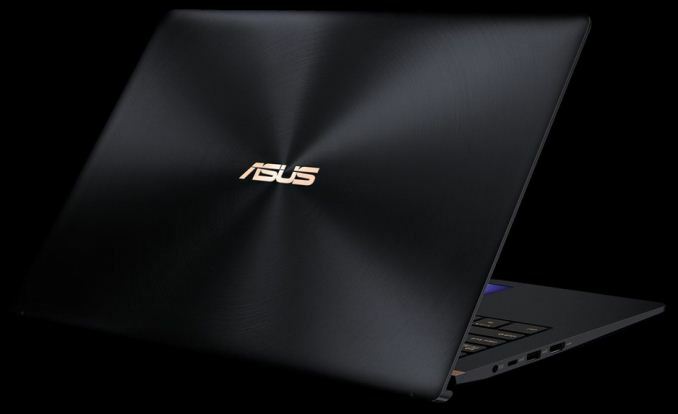 As noted above, ASUS will start selling its ZenBook Pro 14 (UX480) starting from late October. Considering that there will be multiple configurations available, pricing of the new notebooks will vary greatly depending on exact configuration.